The city of Waco was named after a Wichita Native American group. The city has numerous major attractions, historic homes, recreational venues, arts organizations and exhibitions. This city with a humid subtropical climate prides itself with one of the biggest and one of the best municipal parks in the entire state of Texas. The city is located within the county seat of McLennan County, halfway between Dallas and Austin. 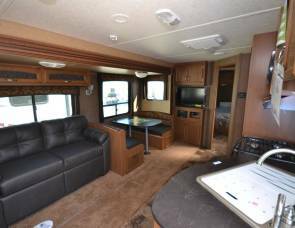 To get you started, we are providing you with a list of places to see, and places to stay in your camper rental in Waco, TX. 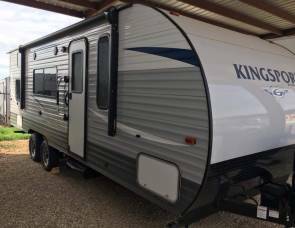 We hope you will enjoy your RV rental Waco TX! Actually, we know you will. A huge zoo with more than 1,731 animals representing 300 species, Cameron Park Zoo is a 52-acre zoo that has been visited by thousands of locals and tourist since it was established in 1955. It has gained its reputation as one of the best parks in the state of Texas due to its exceptional standards for animal care and management. The zoo is located in the heart of Waco, next to the downtown area, along the Brazos and Bosque Rivers. A 142,000-square-foot facility that opened in May 2004, Mayborn Museum Complex is located within Baylor University in Waco. Visitors will enjoy exploring this museum using walk-in dioramas including a Waco Mammoth Site, and exploration stations for geology, paleontology, archeology, and natural history. Not only that, 16 themed discovery rooms offer hands-on learning experience for the young and the young at heart. The complex also includes a 5,000 traveling exhibit gallery, theater, a13-acre historic village, a museum store, and a snack area. The Mayborn Museum Complex is a near perfect attraction for when you rent RV Waco TX! Originally named "Baylor Stadium", McLane Stadium is central Texas’ new state-of-the-art multi-functional sports and entertainment venue. It has hosted world-class musical performances, and family and sporting events. The stadium has a sitting capacity of 45,000. McLane Stadium is located in the Baylor University campus. River View Campground is a fantastic choice for a travel trailer rental in Waco, Texas. It has 60 available shaded full hookup sites with room for slideouts. Facilities and amenities include wi-fi internet access, a swimming pool, playground, boating, horseshoes, recreational hall, restrooms and showers, and laundry facilities. River View Campground is located in the Central Texas region, near the wonderful city of Waco, and is open all year round for your camper rental Waco TX! Located in the city limits of Robinson, south of Waco, Flat Creek Farm RV Resort is a family owned and managed campground that provides a lot of fun activities for your and the family. 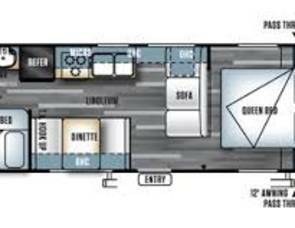 It has 59 available shaded full hookup sites with room for slideouts, just what you need a motorhome rental in Waco, TX. Baylor Stadium is just ten minutes away and the Central Market Place is just across this beautifully developed resort. Fishing enthusiasts will definitely have a good time along Flat Creek banks or around one of the five stocked ponds. 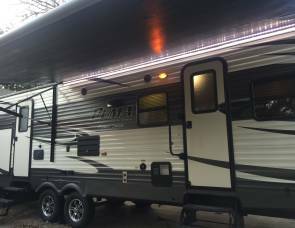 Book your trailer rental Waco TX and get to Flat Creek Farm ASAP! 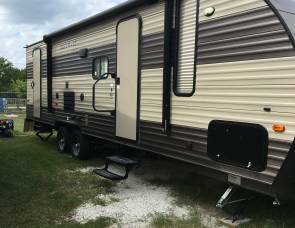 Perfect for a trailer rental in Waco, TX, I-35 RV Park has a very convenient location which will make your camping experience worthwhile. It has 138 available shaded full hookup sites with room for slideouts. Facilities and amenities include a swimming pool and spa, recreational hall, horseshoes, pond, a restaurant, laundry facility, restrooms and showers, RV storage and supplies, pet services, and so much more. This RV Park welcomes your visit at any time of the year in your camper rental Waco! Have fun participating in Waco's annual event, The Heart o' Texas Fair and Rodeo. Held at the Extraco Events Center every October, it features professional rodeo events, craft and cooking competitions, a midway filled with exciting rides and plenty of fair food. Over 175,000 people come to participate in this annual tradition. Be one of these people in a motorhome rental Waco TX! Make plans now to attend the biggest, coolest, hottest party of the summer, the Margarita and Salsa Festival. This is one of the larger music events in Waco, with an average of 10,000 attendees. Enjoy sipping your margarita while listening to Texas country music, or participate in one of their fun competitions involving of margaritas, salsa, or guacamole dip making. This event takes place every August, as part of the Heart O' Texas Fair and Rodeo. 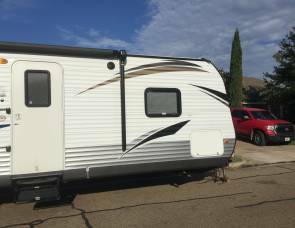 This is the perfect time for you to rent an RV to Waco, TX. Plan your trip now and enjoy a journey in an RV rental to Waco, TX! Have a fun and safe trip from RVshare!